BOSTON, December 4, 2018	(Newswire.com) - Boundless, a first-of-its-kind e-commerce company offering customizable rugs for the home, today announced that consumers now have a new, affordable way to purchase personalized art for their floor. With Boundless, customers can select a design and customize their rug based on size and color to match their personal space. Utilizing a family-owned manufacturer based in Georgia, each Boundless rug is created in the U.S. using high-speed tufting machines. With 24 designs, 11 colors and unlimited sizes to choose, there’s something for everyone. "I had a really difficult time finding a rug for my own home that was the right combination of color, size and design," said Maddy Karolian, CEO and founder of Boundless. "After spending hours and hours searching for the right piece, I realized that there was a huge opportunity in the marketplace that wasn’t being addressed. So, I decided to create Boundless." Boundless was founded on the idea that people should have easy access to area rugs that are both beautiful and affordable. Taking what she learned during the course of her personal rug-buying journey, Karolian built Boundless to address all the headaches she experienced while looking for a rug. The new platform is dedicated to providing an easy shopping experience that offers unique, high-quality, customizable rugs that are made for everyday life. "Having a nice area rug can have a huge impact on the look of a space. Knowing that, we’re so excited to make it so that everyone can get the rug that they actually want at a price that they can actually afford." Rugs start at $279 and customers have the opportunity to “try before you buy” with Boundless’ Home Touch Test. For $15, customers can purchase a Home Touch Test that includes six color samples to match any décor and a credit towards a future rug purchase. All rugs are available for purchase on BoundlessRugs.com. Boundless is the first e-commerce company offering affordable, customizable area rugs. 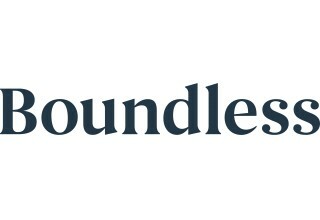 Headquartered in Boston, Massachusetts, Boundless was founded in 2018 by Maddy Karolian. With Boundless, customers can select a design and customize their rug based on size and color to match their space. Inspired by classic designs, works of fine art and global trends, each Boundless rug is sustainably made, stain-resistant and only available for purchase on Boundlessrugs.com. Follow Boundless on Instagram and Facebook @BoundlessRugs.